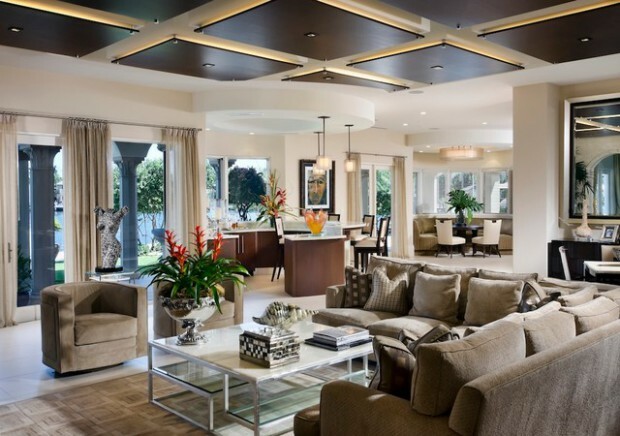 When most of us think about ceiling for our homes, the thing that comes to our mind is white and flat. Despite all the amazing steps we have taken forward in designing and decorating the rest of the house, a ‘ceiling’ seems to be something that skips our mind rather easily. 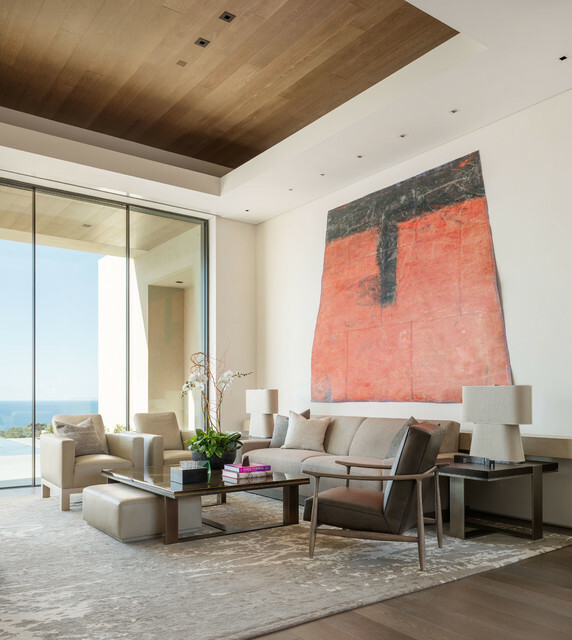 But a great ceiling design, whether it is in the living room or the dining area, the kitchen or the bedroom, can give a room a unique, inimitable and individual character that also leaves an indelible impression in the minds of those who step in. 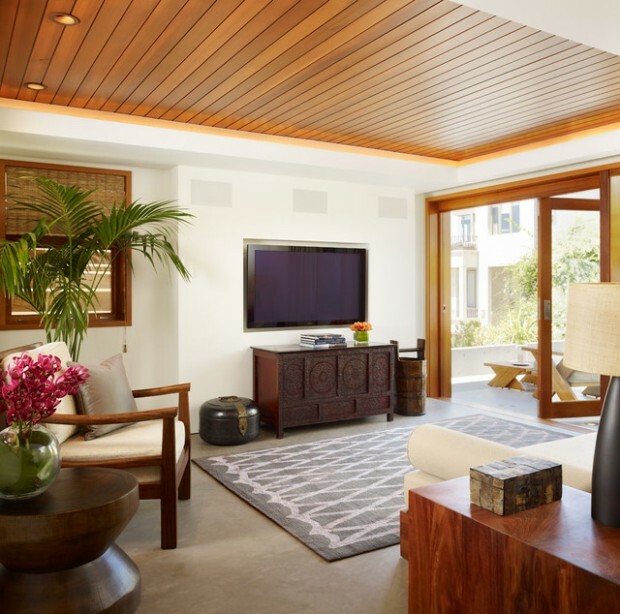 A wood ceiling has a cozy, inviting look that works well in a living room or family room. 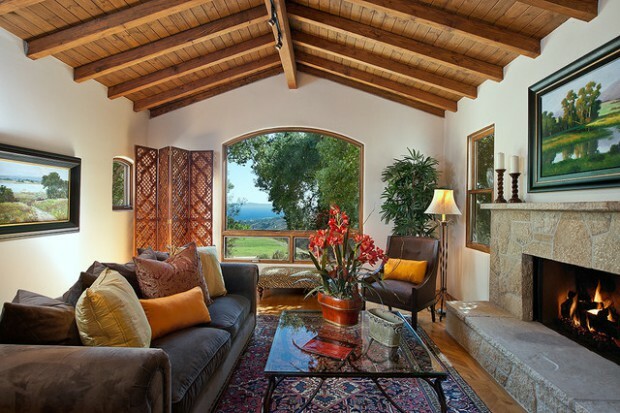 When it comes to creating a warm, cozy look for your home, few materials can top wood. 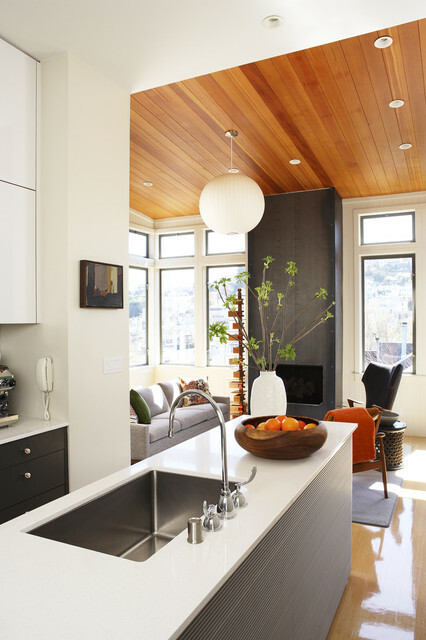 For a really striking design statement, though, you may want to think about using wood in an unexpected spot like your ceiling to give your room more texture and dimension. 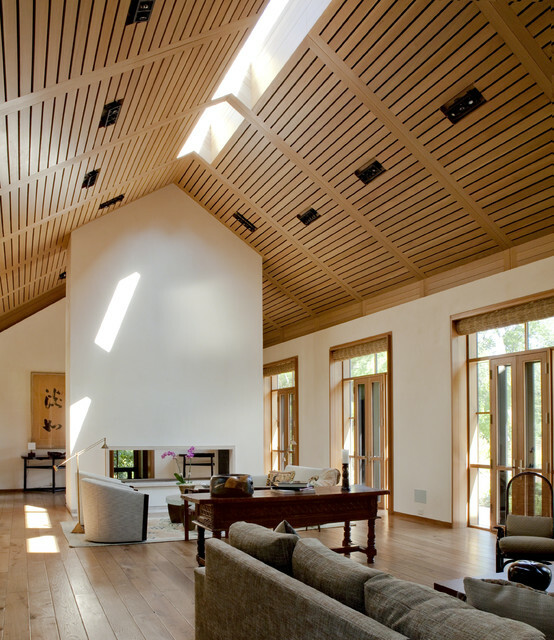 While a wood ceiling can give your room a cozy look, it can also make the space feel closed in and dark. 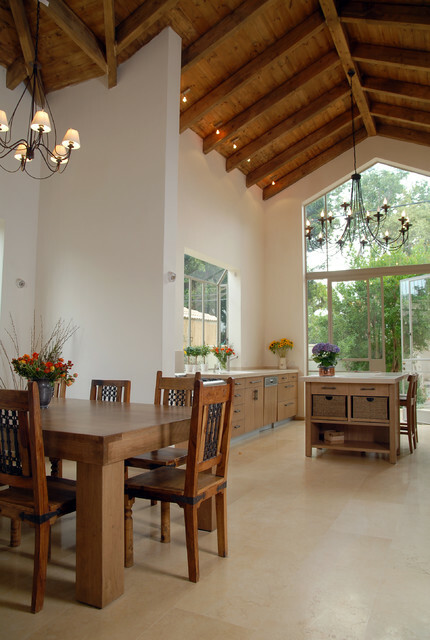 To avoid a cavelike feel, look for ways to lighten and brighten the space. Choosing a soft, pale wall color is usually the best way to go. 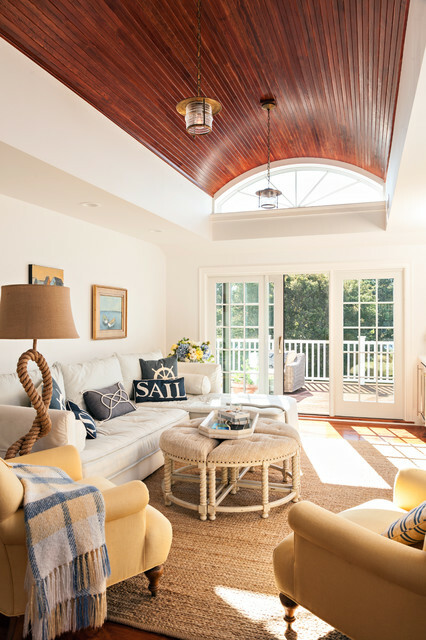 Because a wooden ceiling tends to provide an inviting look, play up its coziness by pairing it with warm colors that make the room feel more intimate. 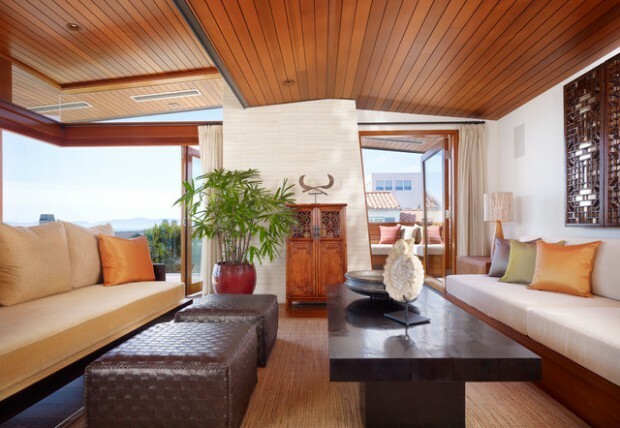 A wooden ceiling instantly gives your room a warm, natural look, so complement that style by incorporating other natural elements in the design. 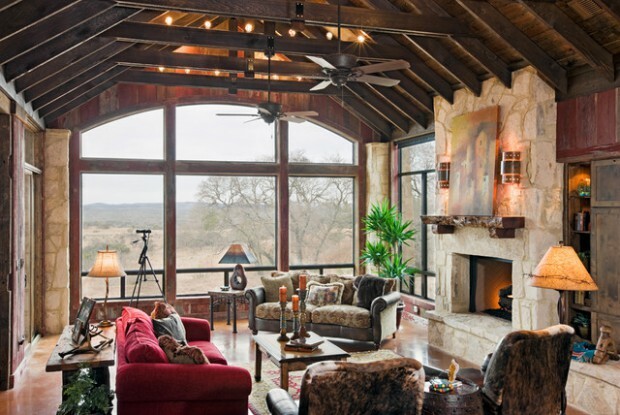 If the space features a fireplace, use rustic stone like river rock for the surround. 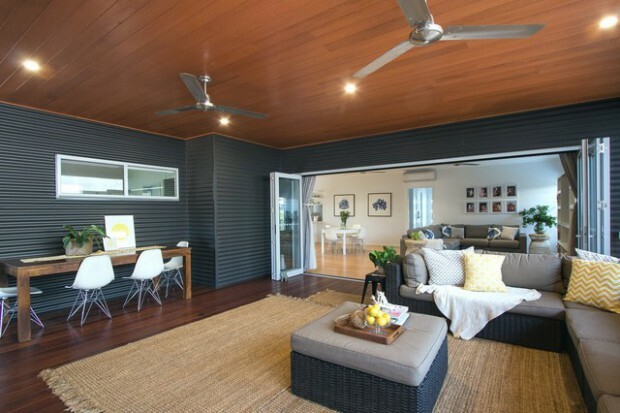 Instead of smooth ceramic tile, opt for rugged slate flooring in a light blue or gray to balance the wood ceiling. When you’re choosing accessories for the room, plants are an ideal option. In particular, potted palm or citrus trees work well to dress up corners of the room.